Spell Magazine | Weed all about it! Potent anti-inflammatory properties mean cannabis is the hottest ingredient in beauty right now. It’s one of the world’s most controversial narcotics, but a growing number of beauty and wellness brands believe that a surprising pair of cannabis derived ingredients can revolutionise how we treat everything from menstrual cramps to acne, eczema and wrinkles. The first, THC (tetrahydrocannabinol), is the most divisive. Of the 80 different cannabinoids harvested from the cannabis sativa (or hemp) plant, it’s the one that gets you high. In countries where dope is legal, including some US states, THC has begun showing up in skincare thanks to its antiinflammatory and analgesic effects. But here, where THC is banned, unless it features in concentrations below 0.3% it’s off limits. This is where the second ingredient comes in. CBD (cannabidiol) is entirely non-psycho-active, legal everywhere and proving to have a wealth of health and beauty benefits. Advocates of this new movement say legal issues prevents us from harnessing cannabis’s full potential - the UK Cosmetic Trade Association prohibits the sale of products incorporating the flowering tops of the plants where psychoactive substance THC is found. In the US where cannabis is legal, however, products ‘supercharged’ with THC are available. Claudia Mata, founder of luxe CBD and THC infused beauty line Vertly, says the difference between these cannabinoids is staggering. She argues that CBD found in most products is extracted from the cannabis seed oil, which doesn’t have the same potency as extracts taken from the flower or buds, particularly when used in tandem with THC. 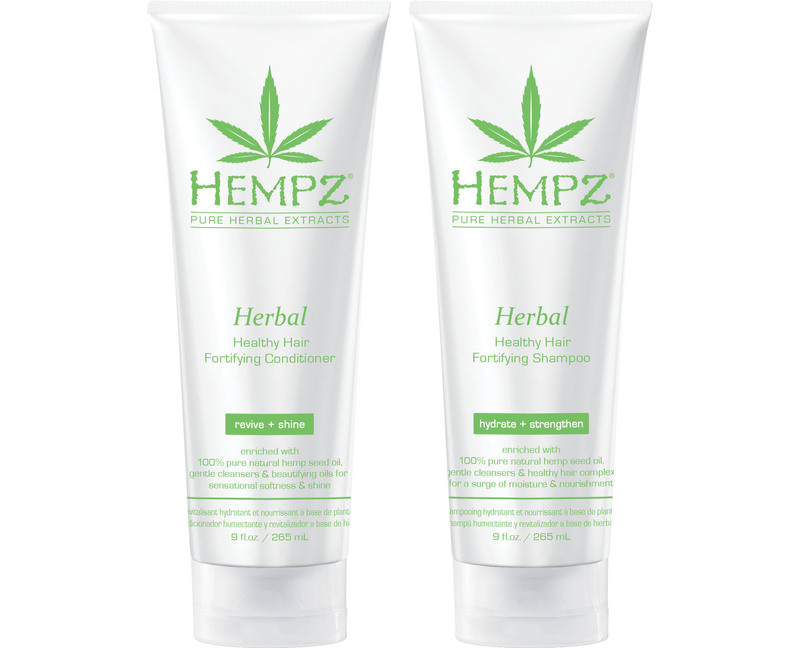 HEMPZ Shampoo & Conditioner, £16.99 + £17.99 is formulated with hemp seed oil to help maximise the life of colour-treated hair and seal in moisture. Essential extracts help condition, soften and smooth while its rich formula helps de-tangle and calm. Ex Marie Claire US Editor Cindy Capobianco co-founded LORD JONES, which has an extensive celebrity following. Their sell-out Pain and Wellness Formula Body Lotion, £36.95, has equal amounts of CBD and THC and is designed to moisturise skin and relieve tension. CARUN’s CBD-packed Active Hemp Face Cream, £16.99 is paraben free, vegan and organically grown in a designated landscape bio-zone, ensuring that the plant is super clean. Fortified with jojoba oils and rich in fatty acids, it calms flair ups and lends long-lasting moisture. 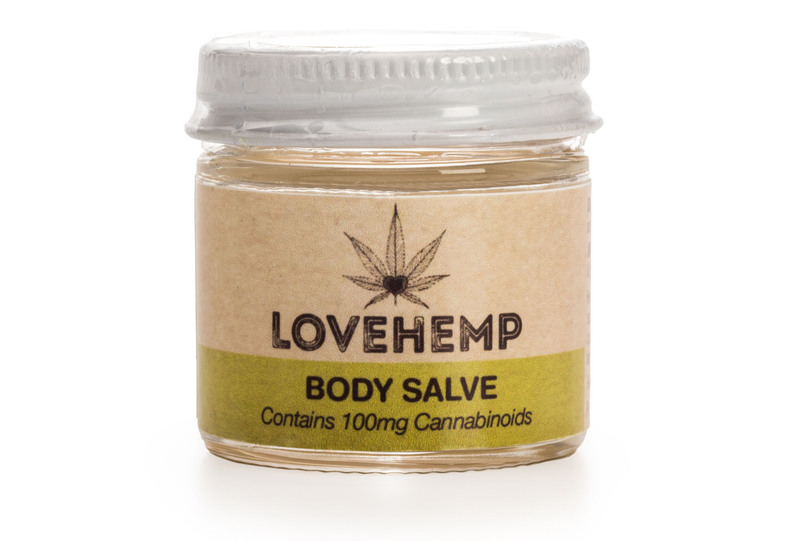 LOVE HEMP CBD Body Salve, £19.99, helps quash the itchiness experienced by sufferers of eczema and very dry skin. CBD breaks the itch-scratch cycle long enough for the coconut, argan and geranium oils to hydrate. Known for his extensive work in preventing skin inflammation, Dr Perricone has employed CBD for its anti-inflammatory benefits in PERRICONE MD Soothing Post- Shave Treatment, £39. Use it for calming lumps and bumps.